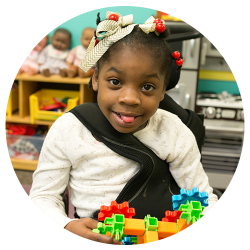 The Charles Webb Center is a developmental child care center operated by the Disabilities Board of Charleston County that serves children with special needs from 6 weeks old to 10 years old. 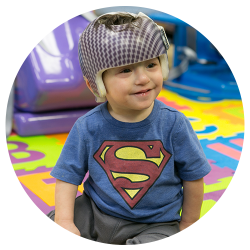 The mission of Charles Webb Center is to aid in each child’s growth and development through an educational program, to develop each child’s sense of self-esteem, and to strengthen each child’s social, language and preschool skills. The Charles Webb Center’s program is aimed at maximizing each child’s potential and preparing the child for successful integration into the school system through a child-centered curriculum based on developmentally appropriate practices. With a staff ratio of 1:5, and through collaboration with speech, occupational, and physical therapists, early interventionists and case manager, children are able to receive the individualized attention needed to address cognitive and social development, fine and gross motor skills, and self-help skills. There are four classrooms in the center, a sensory integration room sponsored by the Coastal Community Foundation, a large sunny playground with adaptive equipment that can accommodate children with physical disabilities, and a nurse’s station. Space is also available for therapists to work with children individually at the school. With special field trips, parties and activities, the center is a fun place for children to experience endless enrichment opportunities. The Charles Webb Center is licensed by the SC Child Care Licensing Services and the Department of Health and Environmental Control. The center provides a USDA recommended breakfast, lunch and snack to children daily, as well as educational parent resources. Led by experienced staff certified in child CPR and first aid and ABC-certified classroom teachers, all staff members must undergo rigorous state and federal background checks, and complete more than 40 hours of initial training, before employment. For more information, please call the Charles Webb Center’s director at 843-852-5545.